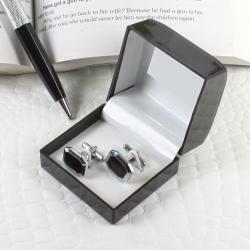 Product Consists : Pentagon Pattern Golden Stone Cufflinks along with Box. Gift this amazing Cufflinks to your friend, father, husband, brother on his special day and surely you will get appreciated for your fabulous choice. 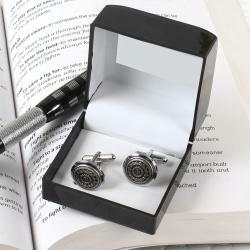 Beautiful gift item of Giftacrossindia.com which is all set to elate your men from his core of any special occasion. It will add a pinch of coolness to your suit. 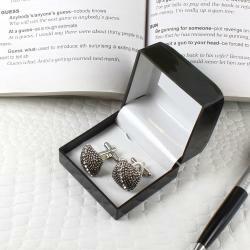 Stay unique and different to wear anything formal with teaming up the set of Cufflinks that we have here. It is the best to make your formal attire look fashionable. It is made with artistic design which makes the whole thing all the more special and desirable. 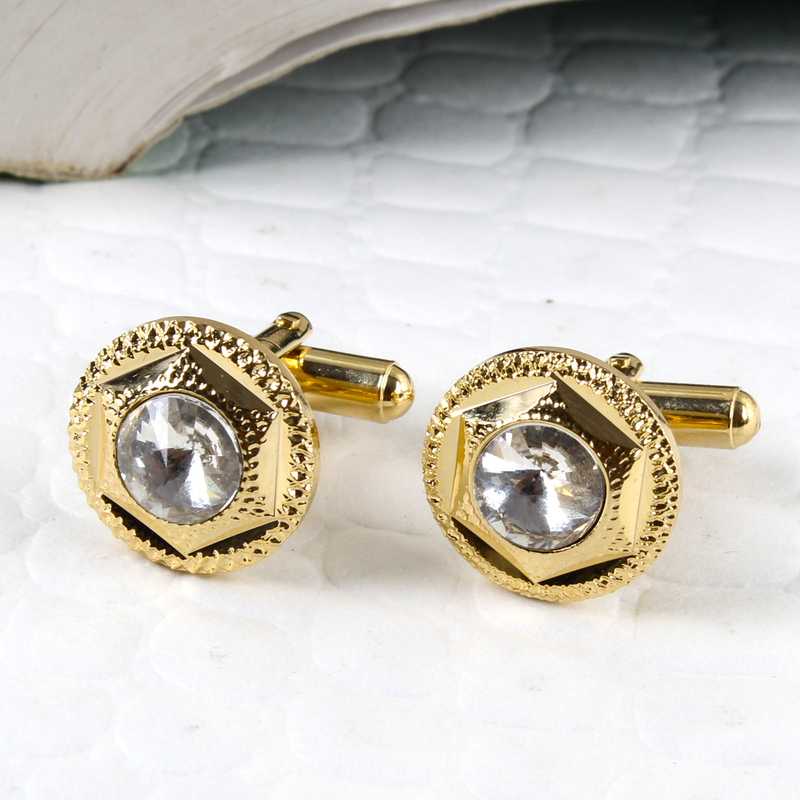 The cufflinks are available in golden shade. Round designs on both the cufflinks make and look more beautiful. This gift item is perfect for gifting to men. 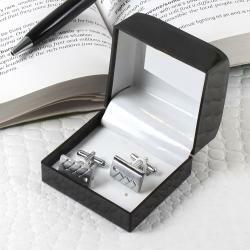 It is a small box which includes 2 cufflinks. Both the cufflinks are very beautifully crafted. 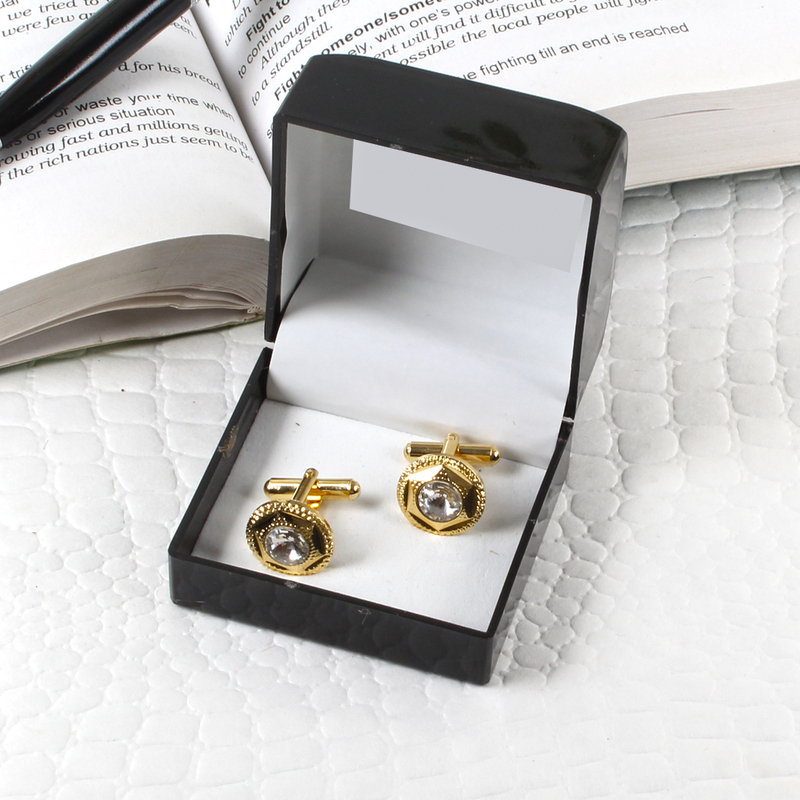 Product Includes : Pentagon Pattern Golden Stone Cufflinks in a Box. An immaculately dressed man will know how the right pair of cufflinks can transform their outfit into something uber-stylish. Buy now and make it the right choice for more glamorous functions.